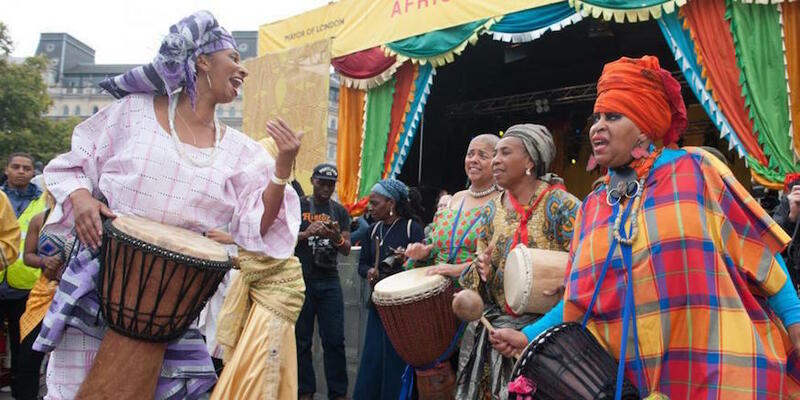 A celebration of African culture takes place in Trafalgar Square this weekend, with free events for all the family. Africa On The Square is an annual event showcasing culture from across the continent of Africa. Musicians from South Africa, Burundi and Mozambique will perform on the main stage, alongside a fashion show, with a drumming and dancing procession winding its way through the square at 1.15pm. A market will take over the terraces, selling African arts and crafts, jewellery, homewares and more, with street food available to buy from a range of stalls. Younger visitors can get involved with face painting, mosaic making and other crafts. Africa On The Square takes place Saturday 15 October, noon-6pm. Entry is free, no booking required.